I’m excited to have Janice Gable Bashman as my guest today at TKZ. 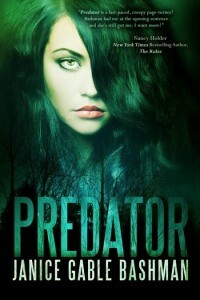 Her latest release (now available) is PREDATOR with Month9Books. Stunning cover. Janice is a Bram Stoker nominated author and editor of the prestigious International Thriller Writers (ITW) publication, The Big Thrill, and she serves on ITW’s board of directors as the Vice President of Technology. Today Janice will share her tips on how to put a new spin to an old tale and make it fresh. Take it away, Janice—and welcome. I love when an author takes science to its extreme. Often it goes horribly wrong. I devoured early works by Michael Crichton (Jurassic Park and Sphere) and James Rollins (Deep Fathom and Amazonia) during my youth. The books were popular and it’s easy to see why. The authors took old tales—dinosaurs roaming the earth, a 300 year-old space ship at the bottom of the ocean, an ancient power causing havoc in a modern-day world, and a mysterious disease threatening to wipe out the population with the cure hidden deep inside the jungle—and put new spins on them. The stories were fresh and exciting and loved by many. They still are. So how do you put a new spin on an old tale when readers think they already know how it’s supposed to go and there isn’t anything they can possibly learn? You have to think outside the box, as the saying goes. In my novel Predator, I give the werewolf legend a couple of new spins by introducing the Benandanti (an actual folkloric belief that certain families of Italy and Livonia were werewolves who fought against evil) as well as a modern scientific approach to mutation and the science of transgenics. But I take these new spins a step further. The science is used to its extreme, in some cases it goes horribly wrong, and the Benandnati may not be what they seem. How did the Benandanti end up alive today and living in Ireland and the United States? What are they up to and why? Are they good or evil? By raising new questions, upping the stakes, and using science in a new way, I was able to put a new twist on the werewolf tale. Writing about science or werewolves or super soldiers is nothing new. They are simply a premise. It’s the story elements that give these topics a new twist and makes them fresh and exciting. And it’s the characters that bring them alive. So how can you do the same with your premise? Can you combine elements of different genres to create a new idea? Can your protagonist see things from a perspective different than you ever thought possible? Can you use your novel’s physical world to put a fresh spin on things? Can you mash together two concepts to create something new? Think about it. It’s possible. It’s up to you and your imagination to wow the reader with a new take on an old tale. I know you can do it. So TKZers—what novels do you love that put a new spin on an old tale, and why? 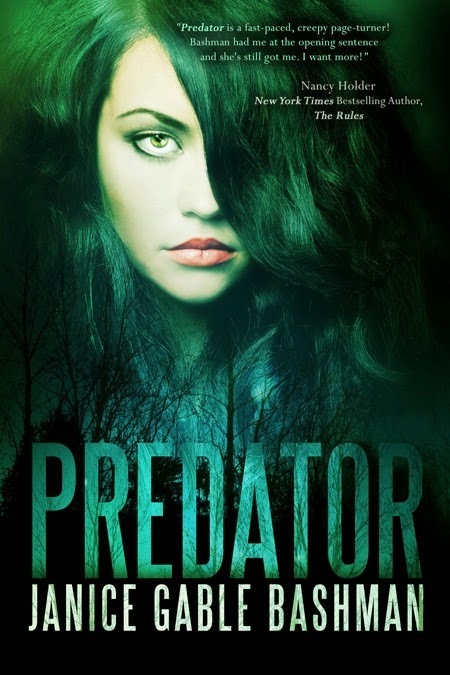 Janice Gable Bashman is the Bram Stoker nominated author of PREDATOR (Month9Books 2014) and WANTED UNDEAD OR ALIVE (w/NEW YORK TIMES bestseller Jonathan Maberry) (Citadel Press 2010). She is editor of THE BIG THRILL (International Thriller Writers’ magazine). Her short fiction has been published in various anthologies and magazines. 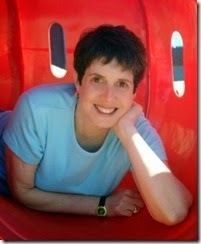 She is a member of the Society of Children’s Book Writers and Illustrators, Mystery Writers of America, Horror Writers Association, and the International Thriller Writers, where she serves on the board of directors as Vice President, Technology.